Leh Leh Sports has raised an undisclosed amount of funding from Sunny Narang, chairman of Anglian Omega Network, in a personal capacity. The company, run by Leh Leh 7 Entertainment Solutions Pvt. Ltd, was founded five years ago by SRCC graduate Siddharth Pandey and Vikas Jawa, who was earlier with Smile Group. “This is a strategic investment for us, especially at a time when we are trying to grow our venue collaborations model. In this model, there is a gestation period for getting a venue fully up to speed and the funding will help us finance cash flows in that period,” Pandey said in a statement. Leh Leh Sports creates easy access to sports and addresses the problems faced by people who want to play – finding space, partners, teams to play with and solves organisational hassles. “At Anglian, we are trying to build a 360-degree platform to create a professional sports ecology. Leh Leh Sports is trying to address a definite problem that people face when it comes to playing their sport of choice and today it has become the premier recreational sports company in India,” said Narang. Sports-related startups have garnered a lot of investor interest lately. Most recently, sports-tech startup Athletto has raised an undisclosed amount in angel funding from Atul Ingle, managing director at Nagpur-based Renuka Electricals & Controls Pvt. Ltd. In May this year, Play Your Sport raised pre-Series A funding from a bunch of investors led by Ashish Gupta, former chief operating officer at Evalueserve. 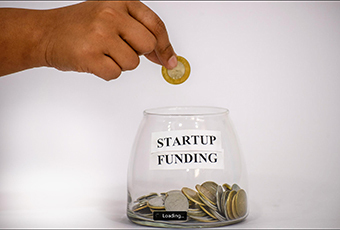 Prior to that, goSporto raised $30,000 (Rs 20 lakh) in seed funding from Singapore-based angel investor Naveen Gupta.